Fool’s Gold and Truth & Consequences Honored in the 2016 Rainbow Awards! If you’re here for the Divine Promotion 2016 Christmas Blog Hop, click on the link here. Be sure to check out the shared memories, recipes, and fabulous giveaway on the hop! 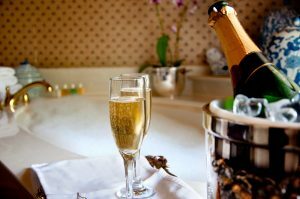 Otherwise, please bear with me while I do a little celebrating here! This week has been one for honors, let me tell you! First, I’ve been nominated for Author of the Year at Gay Book Reviews–and the surprising thing is I have more than one vote! The poll is still open, and you can vote once a day until it closes. I can’t tell you how thrilled I am to be on such a list with the great names in my genre. I thank everyone who’s supported me in this–you guys are the best! 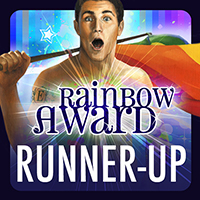 Then both Fool’s Gold and Truth and Consequences were Runners Up in their categories in the 2016 Rainbow Awards. And I recently found out Fool’s Gold has been nominated for Best Coaches/Athlete in the M/M Romance Group’s Year End Awards on Goodreads. To celebrate, for a limited time you can grab a copy of Fool’s Gold for only 99 cents on Amazon and All Romance ebooks. Next, in less than 2 weeks, I’ll be releasing my Christmas story, Holiday House Swap! I tell you, things aren’t usually this exciting around here! I’m currently doing a book tour and giveaway for Holiday House Swap–you can find a review, excerpt, and the Rafflecopter link here. Aw, you’re such a sweetheart–thank you!